Must We Associate Innovation With National Identity? July 6, 2011 July 5, 2011 No Comments on Must We Associate Innovation With National Identity? Age of Empires boardgame. Picture by Kumar Jhuremalani, 13 December 2009. The inaugural installment (something of a thematic introduction) aired back in October 2010 and went on to become a recurring theme each week. Part 1 (“How to Innovate”) recently aired on 5 June 2011, with part 2 (“How to Educate America”) advertised to follow soon. I’m sharing it here for two reasons. The first is that it’s a rare attempt by a basic cable news host to establish a historically-minded, public dialogue between while exploring the core causes of the on-going financial crisis and potential solutions. The second reason is that it’s a chance to pursue the underlying assumption of “How to Innovate” – that we conceive of innovation as a matter of national identity – and to ask whether or not such an association is useful or even necessary. In short: does such an association risk reducing history to a series of innovations by region? “How to Innovate” essentially argues that part of what makes America different is a unique appreciation for innovation and that this has been the ‘secret ingredient’ in a comparative edge over other nations. It warns that without a critical re-emphasis on innovation (and soon! ), America will cede the leadership role and its unprecedented reign as chief-innovator. This is fascinating but an incomplete assessment: it fails to consider that innovation can be its own instigator, outside of a specific national purpose. Sure, association innovation with national identity made some sense during the Cold War — where each side used the fruits of technological progressivism to assert the apparent superiority of their respective economic systems. It fed the space race and left us with mutually assured destruction. It even makes a little sense comparing early-modern nation-states and ancient civilizations. In fact, the reduction of whole peoples to a veritable cast of native-son inventors and thinkers is a considerable part of how we view them in posterity (for better or worse, clearly). 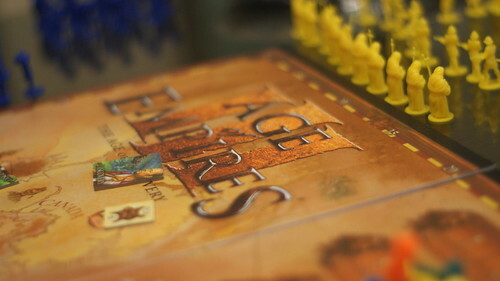 Take, for example, the Age of Empires and Civilization game franchises, where players adopt a people and rush to conquer the world by out-innovating others through history: as ancient Egyptians with ever-grander pyramids, as ancient Romans with increasingly complicated criss-crossing roads, or as early-modern France with more rights declarations than citizens. However, does associating national identity with innovation make any sense in the present? We’ve built massive global corporations, economic blocs like the European Union, and various free trade regions — do we really care who comes up with the best ideas? The only real issue would be whether or not everyone has equal access to them through the market, right? Since we’re part of the same global capitalist system. Still, Zakaria’s instance on associating innovation with a nationalistic purpose is mostly an attempt to qualify President Obama’s empty-sounding “win the future” 2011 State of the Union slogan. And the statistics are indeed worrying: 4.9% annual growth in research and development from 1953-1987 to 0.3% from 1987-2008. That isn’t good for America or the global economy. This would explain most of history’s relationship with innovation: mostly accidental discoveries, compounded over time. It’s best not to assume that previous eras shared our obsession with purposeful, deliberate, and methodical innovation — even if this process is indebted to, and built upon, their own research and discoveries.